Mythical monsters. Ghostly sightings. UFOs. Curses. We all love the stories. But are they just hoaxes – or could they be true? Many people have tried to solve the strange mysteries you’re about to witness. But no one has ever fully explained them. Could YOU be the first? 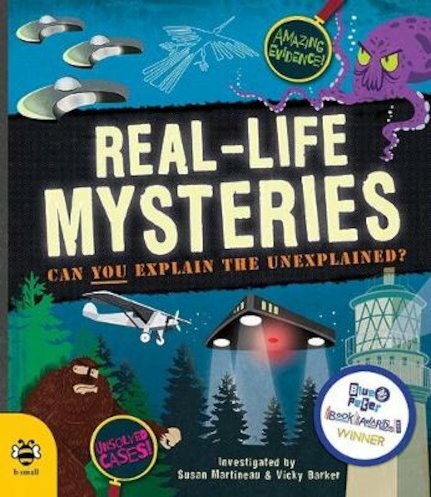 In this book you’ll discover the world’s spookiest unsolved mysteries, shown in clear accounts and stylish colour artwork. But that’s not all. You’ll also have a crack at solving them! Detailed case files show you all the evidence, clues and case notes. Your job: to work out what they mean. Can you explain the unexplainable?